Philips doesn’t use Philips screws but Torx screws, a T8 or T9 screwdriver is fine to open the case. Note: I didn’t mark all screws in the pictures! 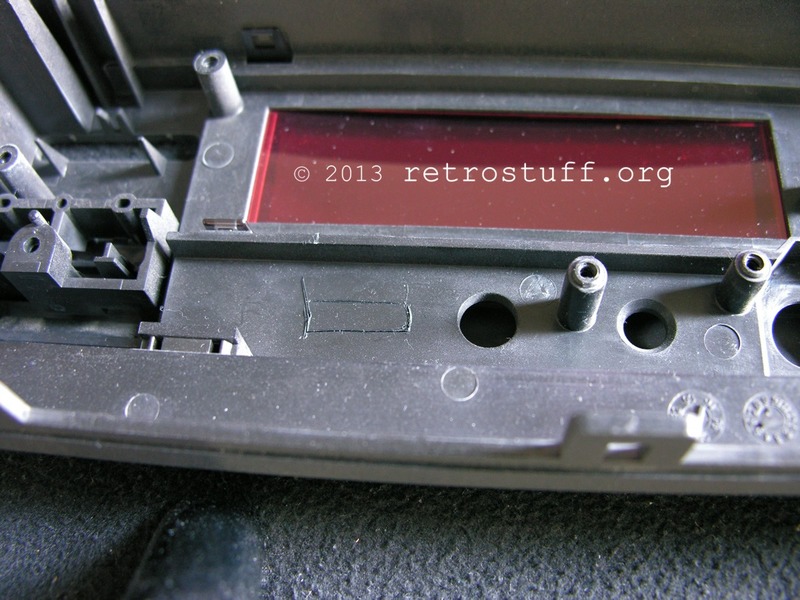 First remove seven screws to open the outer shell and then six screws to remove the DVC slot. The DVC can stay in the slot. 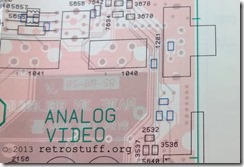 When the DVC slot is gone you have access to the mainboard. 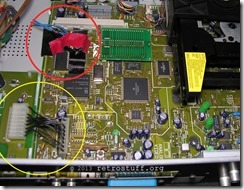 Next remove the connector to the power supply PCB (yellow circle). 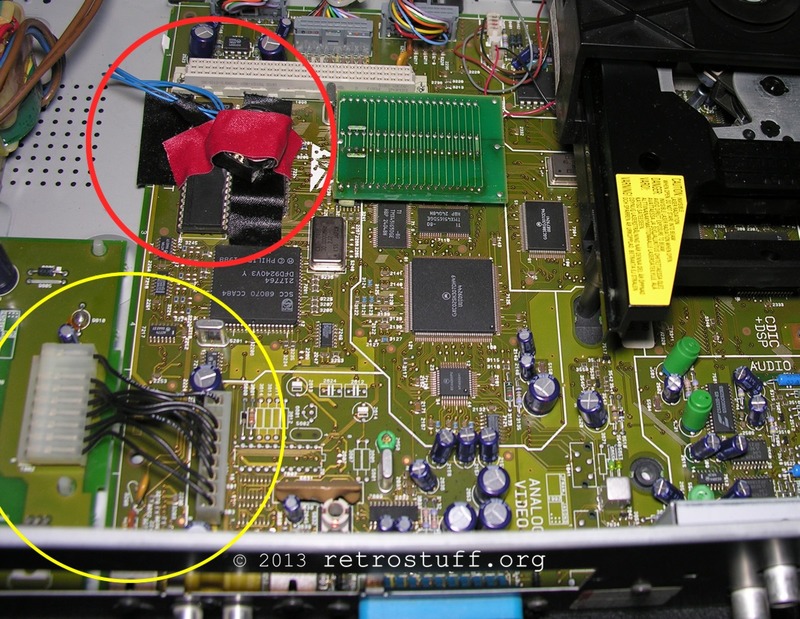 The thing in the red circle is a ghetto repair of the infamous timekeeper chip. At least it keeps the settings/high scores again but the clock stops when the player is turned off – I’ll have to look into that sometime. The yellow circle in the right picture marks the target area (C6). Next remove eight screws from the backside and four screws / three connectors from the front panel. 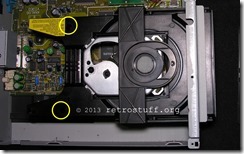 Pay attention when working with the disc drive: First remove two screws, then pull out the tray until two holes align above two more screws. Remove them and carefully lift the disc drive, it is attached with three connectors to the mainboard. One connector is a very fragile flex cable. The mainboard is secured with two screws, take them out and you can finally have a look underneath it. 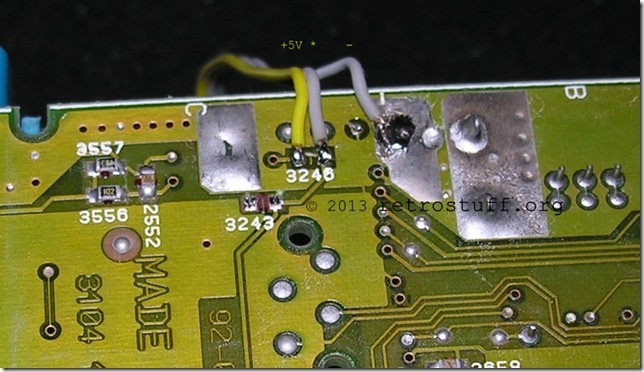 Solder the ribbon cable to the spots shown (+5V, * and ground). You can also solder them on the top side of the mainboard – just follow the * point and use any +5V and ground point available. Now connect the mainboard to PSU, disc drive and front panel to test your modification. 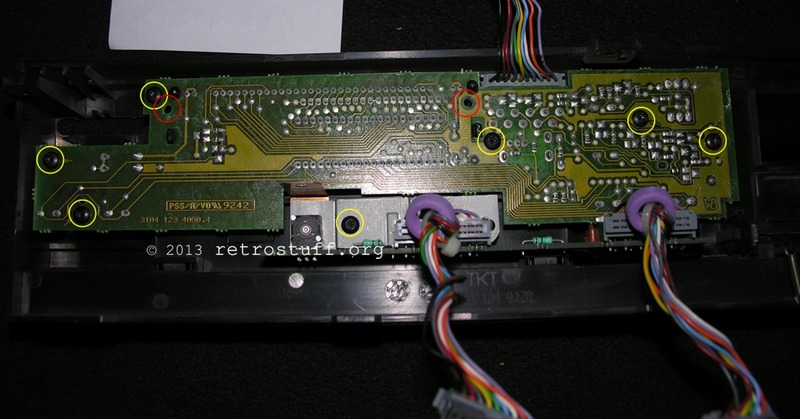 When the player is turned off connect * with a 1k resistor to +5V, then start up a DVC enabled game and check if the black bars are gone. 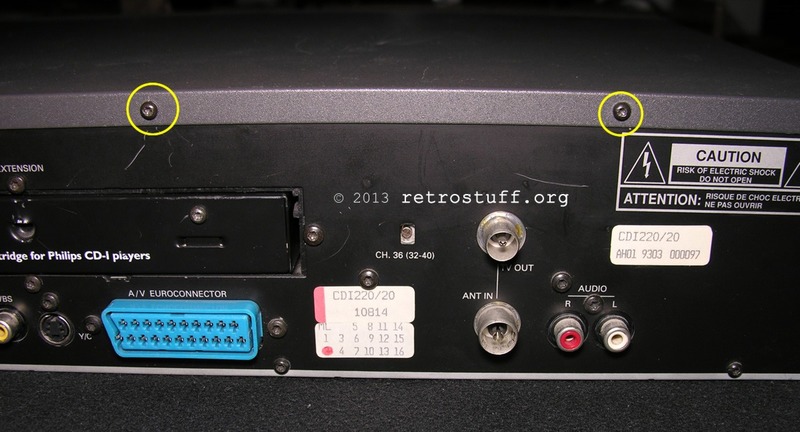 Turn off the player, connect * with the 1k resistor to ground and check if the black bars are there again. 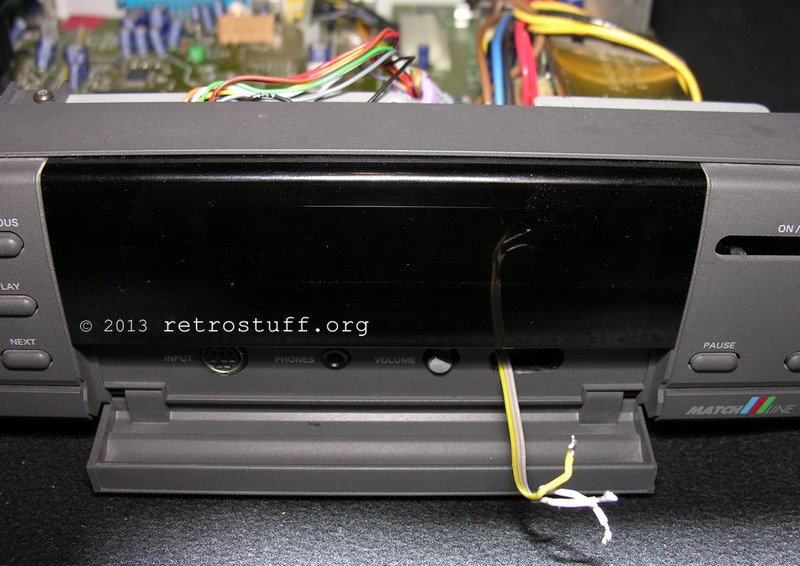 When everything works as expected then disassemble the front panel to find a place for the PAL/NTSC switch. The display PCB is held by seven screws and the input/phones/volume knob PCB by two screws. Be careful when assembling it later, don’t put screws into the two holes marked with red circles – you could possibly damage the display! I have marked a place to cut out the hole for the switch on the right picture. A good place for the switch is behind the small front panel door. As there is limited space I had to cut off some plastic of the switch until the door would close again. When it fits then solder the 1k resistor to the middle pole, * to the resistor and +5V/ground to poles left and right. Optional: Isolate resistor and cables with heat shrink tube. Done – you can now enjoy full screen DVC games as they were intended to be! Hey. Do you have an entire diagram of the CD-i? Hey, Yes, I’ve got the entire service manual for the models mentioned above. My model is a 210/20, but the differences can’t be too big, right? Unfortunately I can’t help you. It’s a printed manual and I haven’t found a digital copy yet. 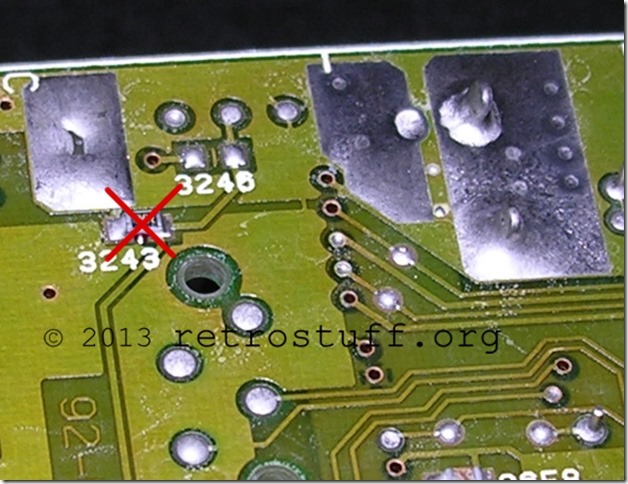 According to this list the 210/20 has the same mainboard as the 220/40. The other two tutorials mentioned above should be ok for your model. Okay 🙂 What I needed the manual for isn’t for this modification. Do you know how many volts the power supply output to the mainboard? Thanks a lot! 🙂 That really helped. Seems like my CD-i’s power supply is broken. All pins show correct voltage, except for pin 5. It shows 0 instead of 25v. All I can tell you is to look for broken components and to replace them. Maybe it’s easier to buy another 210 for replacement parts, it’s the basic model and very cheap. Don’t know about other Philips products, but I’m pretty sure it’s a custom module for this CDI player. Have a look at ebay.nl or .de, the 210 is very cheap there. Maybe a seller is willing to send you just the power module – this should keep the shipping costs low. On another note, I have a 220 here which has one curious issue – the “open”-button doesn’t work properly! If you press the button (at any time) it will not open the tray – the belt has been replaced, so it’s not the problem. BUT, if you manage to open the tray (e.g. with the casing open), the button will actually CLOSE the tray when pressed. Sounds like a sensor or logic issue to me. 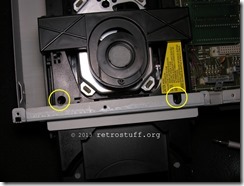 – When you have the case open check the wires and and connectors from and to the CD drive. Yep, pulling out the tray (or pushing it, when the casing is off) will have the result you described. 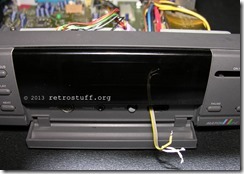 Checking the cables between the drive and the main-pcb… no difference! Except for the eject the console is working properly. No other issues. 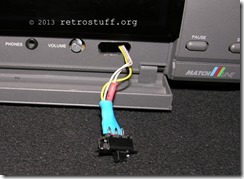 I’ve added instructions for testing the front panel buttons here. When the test confirms that all buttons work as intended then open the drive tray by hand. Push the button to let the tray close just a little bit, imediately push the button again and see if it opens again. If it does then repeat opening and closing the tray with the button. Let it move in a little further each time until you find the position where it gets stuck. I open the tray by pushing it a little from behind (with the casing removed). It opens automatically without any slowing down. If I press the OPEN-button during this phase it will (only) close. Once opened, I can close the tray normally by pressing the OPEN-button. THE TRAY WILL NOT OPEN IF I PRESS THE BUTTON AGAIN! Next thing – the self test. This does not seem to work on my unit as I have attempted it several times now. The player only starts up normally, no change on the display. Is it possible that this is could be a promotional unit with a special firmware installed? I remember a very similar behaviour on a car radio I bought some years ago on eBay. They had installed/activated a special firmware or function that would shut down (most of) the front panel’s buttons. Once you flashed it to a “standard” firmware it would function normally (again). Now that you mentioned promotional unit, there is a lock function that is supposed to prevent you from opening the tray, to enable or disable it hold ‘STOP’ when turning on the player. I haven’t thought of it because on my player it only hides the ‘open’ command on the screen, the button still works. Well, and it explains a lot. Because the 220 still contained a demonstration disc + the original cdi-advert-sticker was still on the display. Most likely a demonstration unit of sorts. 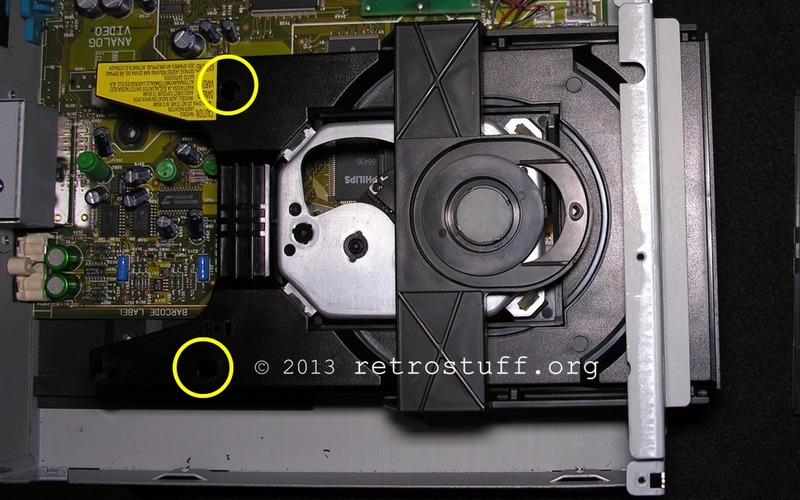 Is there any info or specs for the little belt that drives the cd tray in and out? The part number for the belt in CDI220/20 is 4822 358 31168. A rubber band found in the kitchen does the job as good as the original belt though. 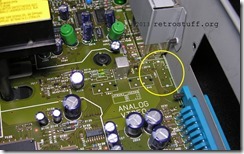 Do you have the mainboard and servo circuit diagrams of philips cdi 220? 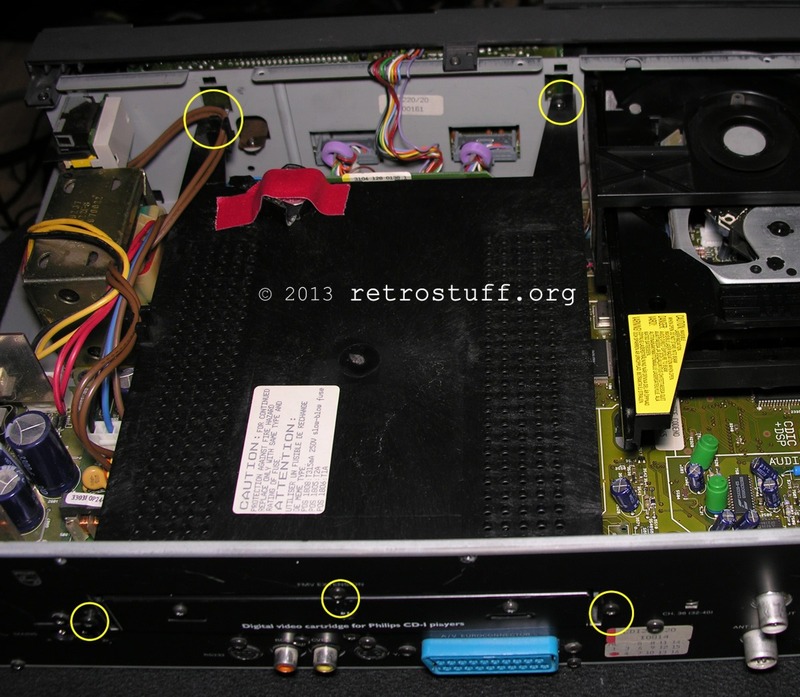 The CDI220 was built with five different mainboard layouts – which revision are you having trouble with? Friend, my version is CDI 220/77. Sorry, I don’t have circuit diagrams for that revision. Thanks for your help! May God blesses you! Dear Friend, maybe you could help me. The digital service manuals for many Philips players (unfortunately not the 210/20) are now available at the ICDIA website. 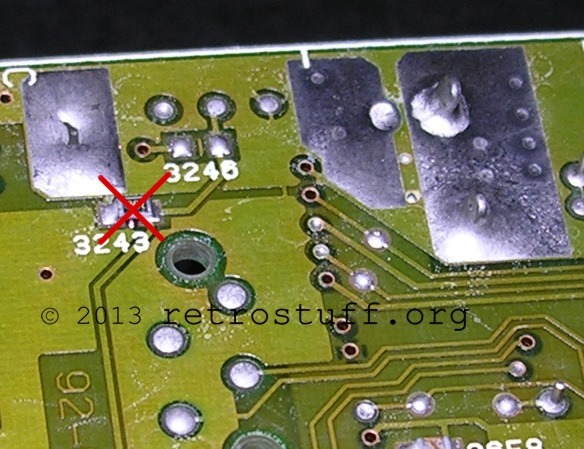 Hi if I wanted to make my PAL CDi just NTSC and not install the switch could I take the existing resister from 3243 and solder it onto 3246? 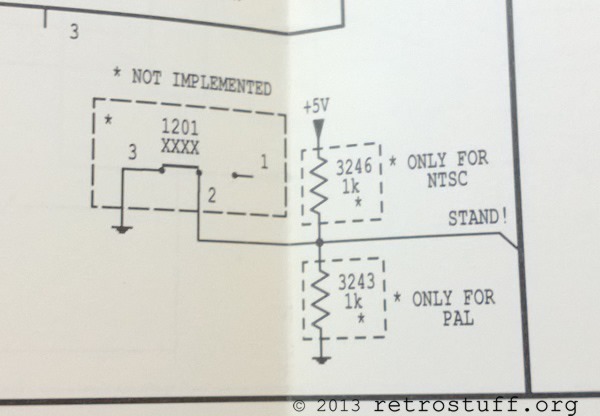 Hi, Yes, you can move the resistor from 3243 to 3246 to change it from PAL 50Hz to 60Hz. 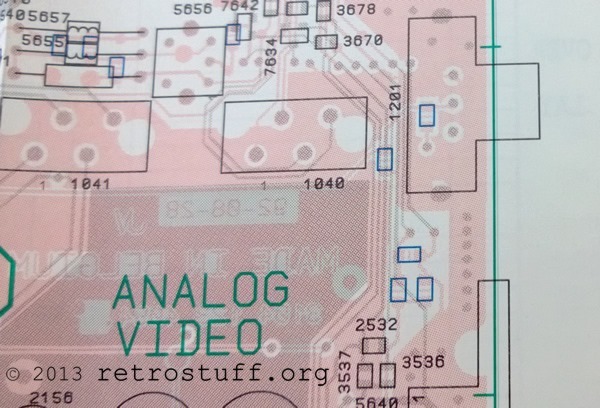 It won’t output true NTSC though. To accomplish that you’ll also have to replace crystal oscillator 5240. PAL: CXO-046B 30.000 MHz, NTSC: 30.2098 MHz. Ok thanks I appreciate the help. Ultimately I ordered a PAL Matchline PH220 and I’d like to play some games on it so I’ll just try the resistor method first. Amazing tutorial! 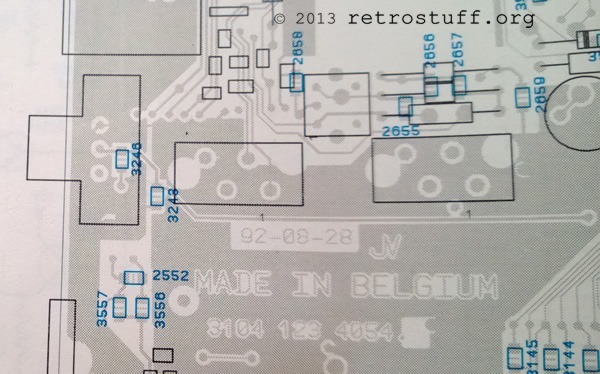 Was excitedly following it until a released mine is a 220/40 with a different PCB. 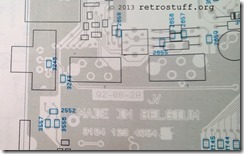 The tutorials referenced at the start – the first is or 210 and the components are different. The 2nd tutorial link I can’t tell as all the images are blank (expired imageshack account I guess). Any ideas? Any help much appreciated, thank you. Thanks. Take a look at the service manuals at ICDIA (http://www.icdia.co.uk/svcmanuals/index.html), yours is a CDI220 with Mono II mainboard. You should be able to follow the available tutorials and the schematics from the service manual. 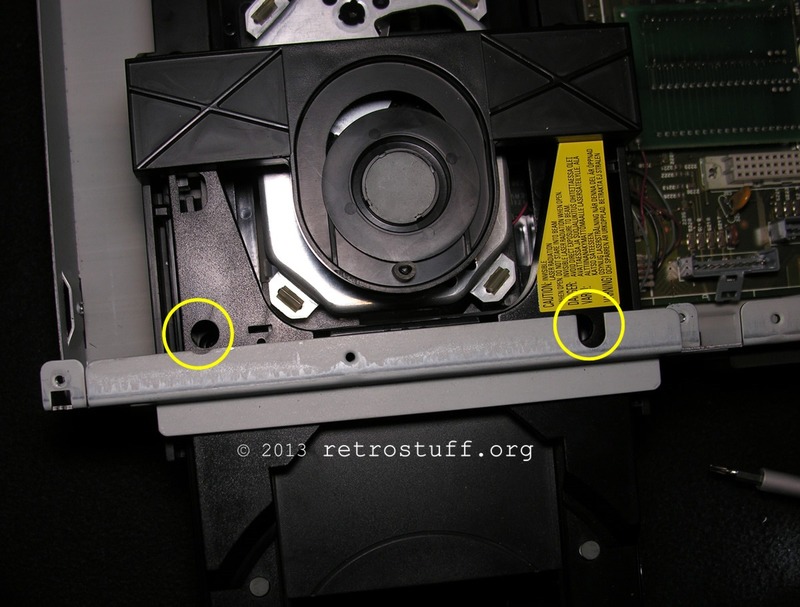 The PAL/NTSC differences are clearly marked. Thank you for the reply rosewood! I’ve taken a look at the service manuals and there’s some interesting stuff. RGB output is entirely PAL only for example. 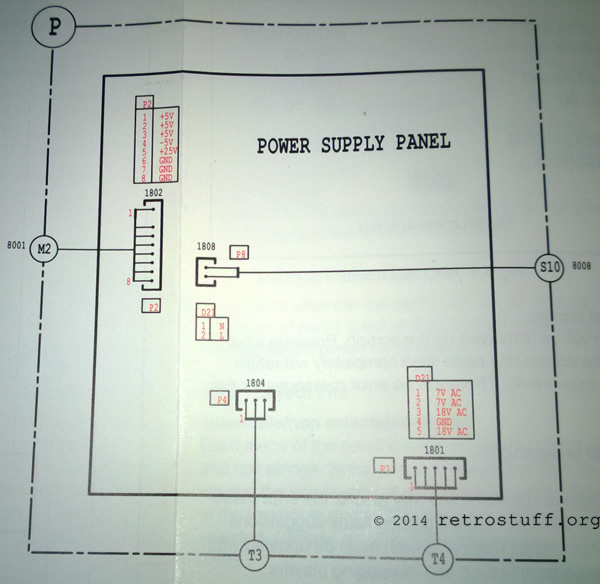 However there’s no unimplemented parts designated NTSC/PAL – the regional differences seem to be pretty significant (am looking at the Analog Video Part Circuit diagrams). 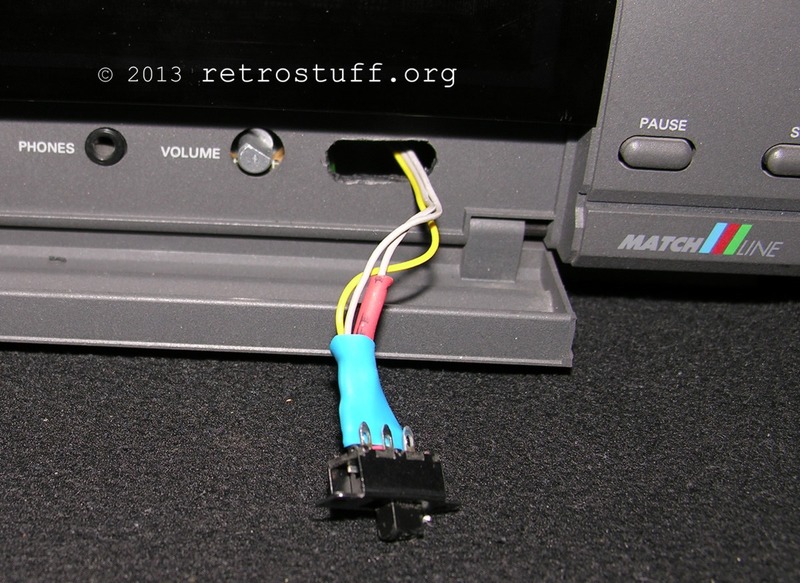 Y/C Luminance output both have the same resistors across PAL/NTSC but with different tolerances. Looking at the Y/C Chrominance output there is a single Resistor implemented only in PAL versions (3674) – maybe this is the one to remove? You are mixing things up here, it is actually much easier than you think. Your goal is to switch the processor from 50 to 60 Hz and not to turn the whole unit from PAL into NTSC. 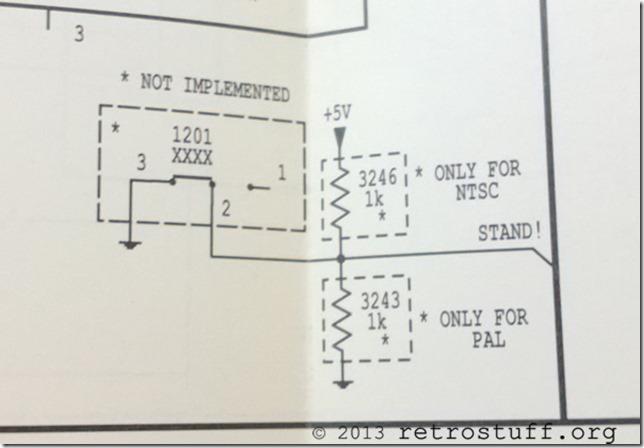 The PAL/NTSC differences in the service manual can be used as hint on where to connect the switch. For your player it’s the same components as in my tutorial (move the resistor from 3243 to 3246 or install a switch).